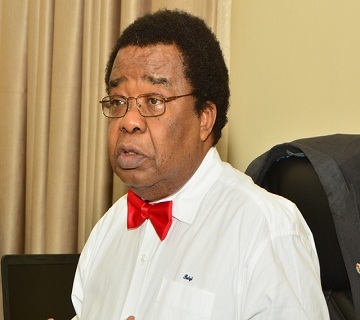 Nigeria’s Former Foreign Minister, Professor Bolaji Akinyemi, has advised the presidential aspirant of the PDP, President Goodluck Jonathan and that of the APC, General Mohammadu Buhari, to strive to ensure the safety of lives and property in the face of a possible breakdown. Professor Bolaji Akinyemi, in an open letter to the two presidential candidates, also suggested some conflict-control measures to manage the violence he believes would erupt post-election. According to the Deputy Chairman of the 2014 National Conference, the certainty of violence after the 2015 elections is higher than it was in 2011, as the illegal importation of weapons into the country has reached alarming proportions. He proposed that the two presidential candidates meet and sign a Memorandum of Undertaking that will commit both a civil and peaceful campaign, devoid of threats; a commitment to preach peaceful elections to their supporters and a commitment to control their supporters after the elections. He also appealed to the Sultan of Sokoto, the Emir of Kano, the Oba of Benin, the Ooni of Ife and other traditional rulers in the country, members of the clergy, past heads of state and elder statesmen to facilitate the pre-election meeting between the candidates, the preparation of the Memorandum of Undertaking and as a Council of Wise-men to assist in managing the post-election conflicts.